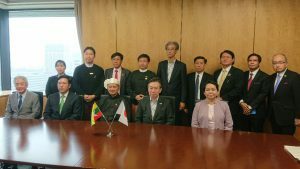 On September 21, 2018, Mr. Masataka Fujita, Secretary General of the ASEAN-Japan Centre was invited to attend the signing ceremony of MOU on Tourism Cooperation between the Directorate of Hotels and Tourism, Myanmar and the Japan Tourism Agency. 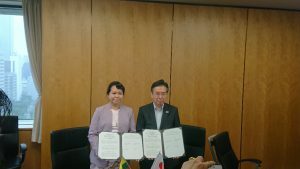 This MOU is aimed to strengthen friendships between the two countries, as well as to facilitate the economic development and increase the potential of tourism activities in both countries. It is also expected that this MOU will further enhance tourism exchanges between Myanmar and Japan.